American LaFrance (ALF) is an American emergency and vocational vehicle manufacturer, currently based in Summerville, South Carolina. 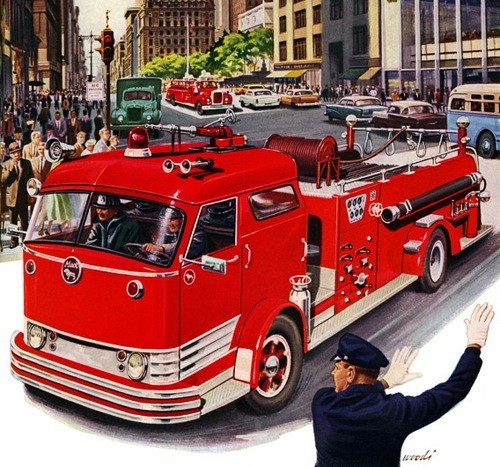 Focusing primarily on emergency apparatus fire engines and fire aerial including ambulance and rescue vehicles. 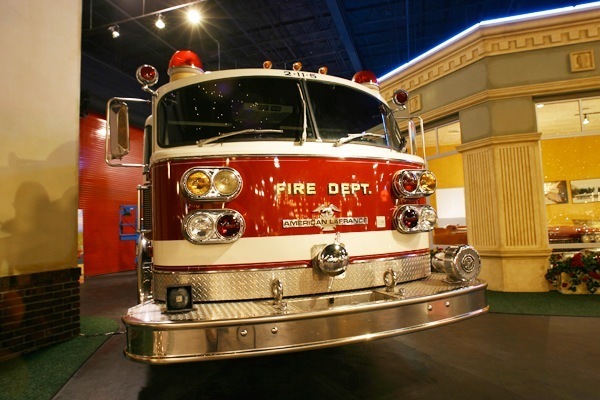 The American LaFrance Fire Engine Company is one of the oldest fire apparatus manufacturers in America. 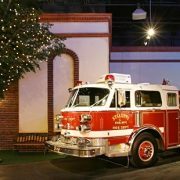 With roots that go back to approximately 1832, the companies that went on to become American LaFrance built hand-drawn, horse-drawn, and steam-powered fire engines. Founded in 1873 by Truckson LaFrance and his partners as the LaFrance Manufacturing Company selling hand powered equipment. The International Fire Engine Company, corporate predecessor of American LaFrance, built some steam power fire engines between 1903-1907. Apparatus built by International included horse drawn steamers, hose wagons, and hook & ladders to chemical engines, water towers and combinations. 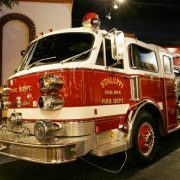 The American LaFrance Fire Engine Company was formed in 1903. Its corporate offices and manufacturing plant were in Elmira, New York. 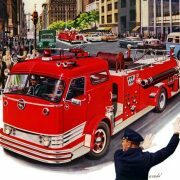 It also operated a Canadian plant in Toronto, Ontario, where it sold apparatus under the name Lafrance-Foamite, until 1971. ALF delivered its first motorized fire engine in 1907. 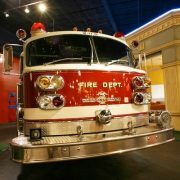 Over the years, American LaFrance built thousands of fire trucks including chemical engines, combination pumpers, aerial ladder trucks, Aero Chief snorkel trucks, and airport crash trucks. The classical style of the American LaFrance apparatus is easily recognized. Some of the company’s innovations led to changes in the industry, most notably the cab forward style cab. 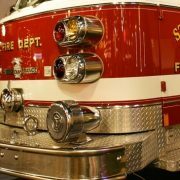 The company has recently undergone a major rebirth and is once again producing custom fire trucks and other emergency vehicles. In 1995, the company was bought by Freightliner LLC, which is a subsidiary of Daimler AG. Freightliner continued to utilize American LaFrance’s original nameplates and designations including the Eagle custom chassis. Many of their Liberty products are built on Freightliner LLC M2 or Sterling Acterra chassis. ALF has additional manufacturing facilities in Ephrata, Pennsylvania, Sanford, Florida, and Hamburg, New York. As of 2005, they are the fifth largest manufacturer of emergency vehicles in North America. 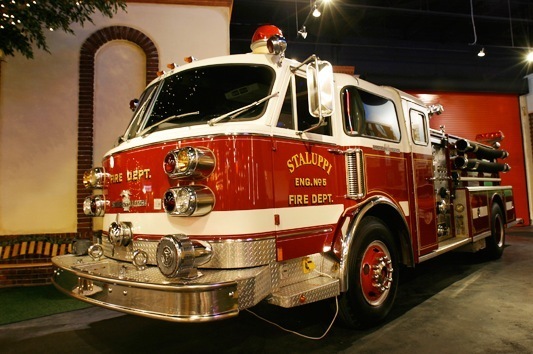 On January 28, 2008, American LaFrance filed for Chapter 11 bankruptcy blaming an ERP implementation project . 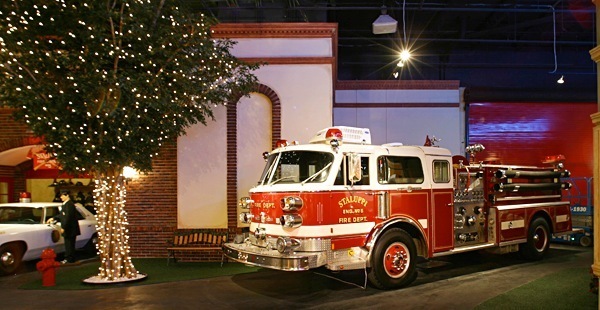 On July 25, 2008, the company emerged from Chapter 11 bankruptcy with a revised business plan to transfer the firetruck body building portion of the business to the remaining Hamburg, NY (formerly RDMurray Inc.) and Ephrata, PA (formerly Ladder Towers Inc.) facilities. 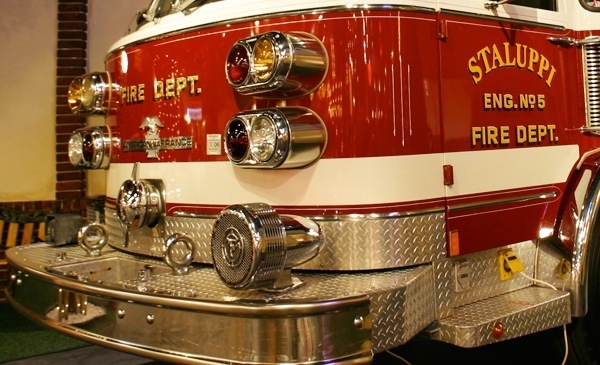 The Summerville, SC plant would continue to manufacture fire truck cab and chassis, but would focus on vocational vehicles and the Condor vehicle line.